Carmen is a producer of haberdashery and funeral accessories. The company recommends: • Coffin inside fittings (variety of designs and colours) • Laces of satin • Metal and plastic handles, bolts, washers and crosses • Wood ornaments • Bags for corpses • Proper attire for the service at funeral homes • Rosaries, prayer books, candles • Wooden and metal urns • Women’s and men’s clothing for the deceased • Obituaries, letters In our ‘New Studio-Creation of Coffin’ we offer interesting and exclusive designs. We realize individual and unusual orders. 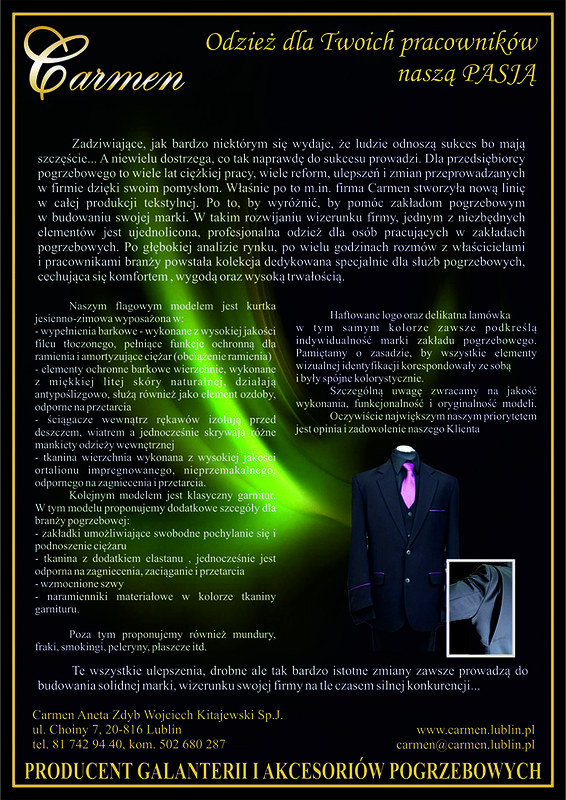 Sewing tailor-made on clothes. 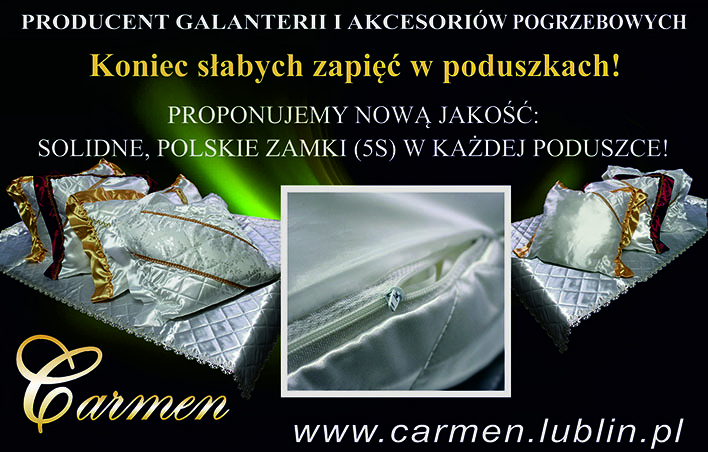 Welcome to our online store www.carmen. lublin.pl. We are open for any kind of cooperation.